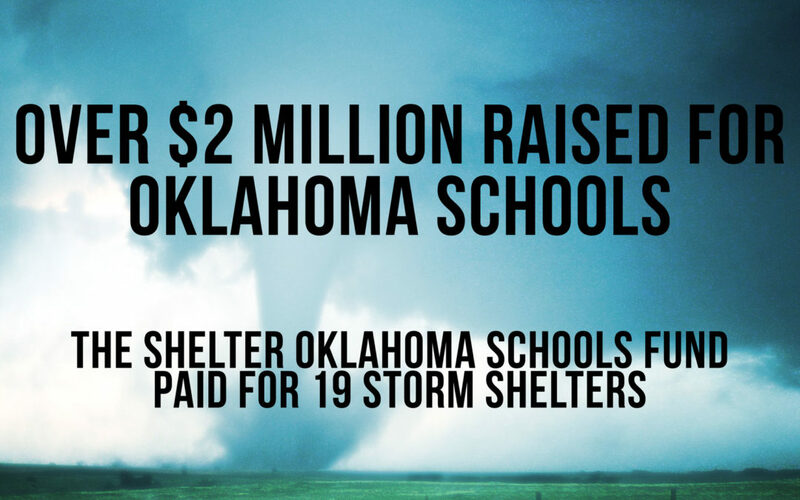 The Shelter Oklahoma Schools Fund has distributed more than $2 million to 19 different school projects. The result of this work means that more than 10,000 students and teachers will have access to a state of the art storm shelter. Majority Floor Leader Jon Echols was instrumental in setting up and raising money for the Shelter Oklahoma Schools Fund. In the immediate aftermath of the March 2013 tornadoes, Leader Echols and Representative Mark McBride of Moore went to work to provide the funds for districts that wanted to build storm shelters. The funds were managed by the Oklahoma City Community Foundation and had no administrative costs. This means that every dollar raised went to funding projects. You can find a complete report of the funds and projects by viewing the report.